If you would like to be an attorney, it is important to learn what a defense attorney does so that you can decide if you would like to represent defendants who are facing different levels of criminal charges. Like all attorneys, a defense attorney must spend years earning their undergraduate degree and then more time in law school where they will earn their Juris Doctor degree, according to the Law School Admission Council. Once you hold your J.D., you will be eligible to sit for the bar exam so that you can legally practice as a criminal attorney, a civil attorney or even a corporate attorney. Since you must spend so much time in undergrad and post-graduate law programs, you should find out what defense attorneys do and the roles that they play to decide if this is what you would like to specialize in. What is the Main Purpose of Hiring a Criminal Defense Attorney? 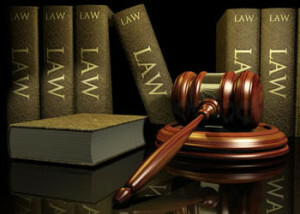 A defense attorney’s primary role is to represent a defendant who has been accused of a crime or who have been charged with a criminal offense. If you represent an accused person, it is your main responsibility to make sure that the client that you have retained is afforded all of their protections as the law and constitutions written into criminal code provide. It is also your goal to help your client have the best outcome with their case based on the evidence that has been presented against them. What Will a Criminal Defense Attorney Do When Representing a Client? Before a defense attorney is retained, they will review their prospective clients case and discuss their strategy of defense. They will also give the accused advise to ensure that they do not damage their case before they go to trial. Once the attorney is retained, anyone charged with a crime will need to appear for an arraignment. At the arraignment, the charges will be read and the defendant or the attorney will enter their response. In most cases, unless the attorney can negotiate a fair plea, the defendant will respond with a not guilty plea and the case will go to trial. After the arraignment, the attorney will receive the case file from the prosecutor and will begin to look for holes in the District Attorney’s case. The defense attorney will assign projects to their paralegals to look for case reports that can support their defense and will look for violations of the defendant’s rights. If the defendant is convicted, the attorney will be present at sentencing where they will recommend light sentencing, treatment alternatives, or programs that will help the offender become contributing members of society. Defense attorneys generally try to help avoid jail time, but may look for short sentences if the law does not allow any alternatives. As you are reviewing different types of clients that you can work with and different areas of law that you can work in, you must consider demand for lawyers and also what you will do daily. Since defense attorneys are dealing with people who could potentially lose their freedom, it can be an emotional environment to work in. If you want to help those accused of crime defend themselves in a court of law, consider what a defense attorney does and decide if you are willing to spend the time it takes to study for the bar.